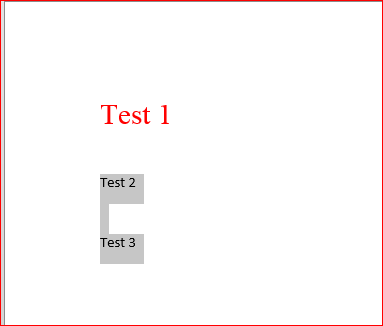 Format painter is a tool that allows the user to take all the font format that they have created and takes all those settings and use them on another line. 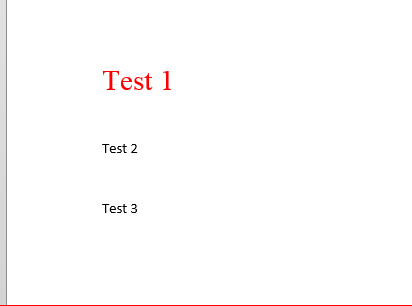 This article shows Office 2016, but the process also works in Office 2013. Step 1:Open an Office program. These instructions will use Word. Step 2:Style the line how you would like it. 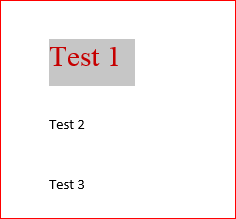 Step 3:Highlight the item you want formatting to match. 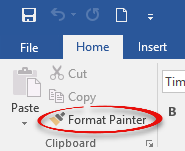 Step 4:Select Format Painter under the Home tab. Step 5:Highlight the lines you want formatted. 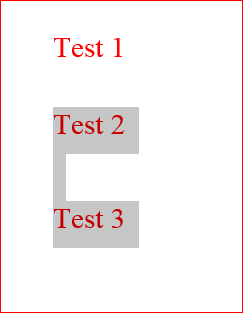 Step 6:Left click, and the highlighted items will automatically format to match.